An emergency room error is any mistake committed by any medical professional who treats a patient in the emergency room of a hospital. Emergency rooms are often busy, hectic, overcrowded and stressful environments. Doctors and nurses have to make life and death decisions on a regular basis. This, however, does not excuse them from providing proper care to each and every patient who seeks treatment in the ER. Failing to provide the required level of care could form the basis of a medical malpractice lawsuit. A headache that is dismissed but turns out to be swelling of the brain. A patient complaining of chest pain who is discharged only to suffer a heart attack shortly thereafter. A child brought in with a fever who is discharged without the hospital’s diagnosing a serious infection such as meningitis. Stomach ache that is dismissed but turns out to be appendicitis or bowel obstruction. An ER doctor prescribing the wrong medication, which either does not work or makes the patient worse. 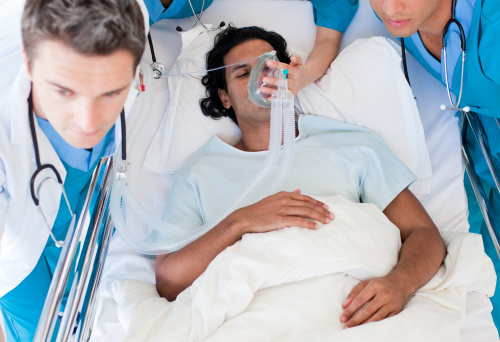 A patient arriving at the ER in serious distress and the staff failing to treat him in a timely manner, which worsens the condition or even causes death. Failure by a doctor to order necessary tests so that he misses a serious illness, injury or condition. A doctor who misreads test results because he or she is in a hurry. Failure to order proper follow-up for a patient. How Common Are Emergency Room Errors? A report released by The Commonwealth Fund indicates that a third of all Americans report that either they or a close family member have been the victim of a medical error at some point in their lives. Experts estimate that over 100,000 people are injured or killed each year because of a medical error committed by a health care professional. Many of these errors are committed in hospital emergency rooms. The Wall Street Journal reported that emergency rooms are one of the top departments named as defendants in medical malpractice lawsuits. A victim will likely suffer emotional trauma as a result of an ER error. Texas law also provides compensation for the pain and suffering an emergency room error causes as part of the non-economic damage awarded a victim in a successful medical error lawsuit. It is important to note that Texas law caps the amount of damages a victim can receive in many medical malpractice lawsuits. The applicable cap depends on various factors, such as the type of injury, the number and type of defendants in the lawsuit, and when the error occurred. If you believe that an emergency room error caused you to suffer injuries or caused the loss of a loved one, you could be entitled to compensation. Although the law provides a mechanism to compensate victims of medical malpractice, the law also limits the amount of time within which a victim can file a lawsuit for those injuries. Contact an experienced Texas medical malpractice lawyer as soon as you suspect that an ER error caused an injury. The Law Office of Kevin Krist assists ER error victims from Houston and throughout Southeast Texas. Contact us today for a free, confidential consultation by calling 281-677-3962 or by using our online contact form.